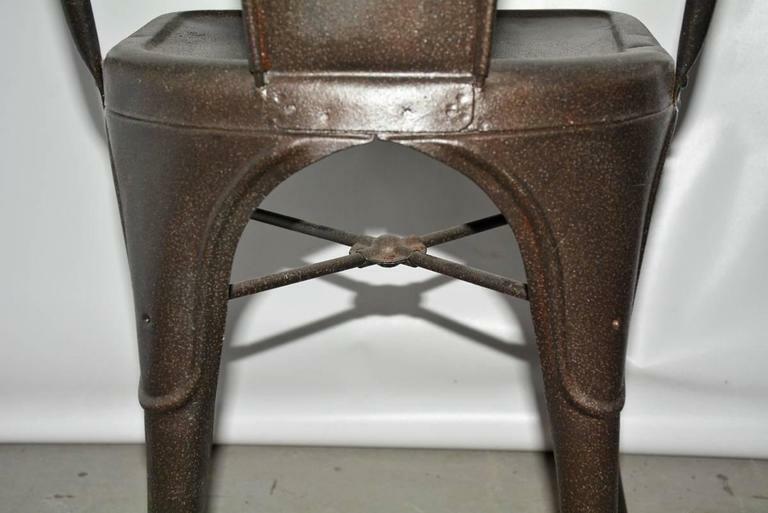 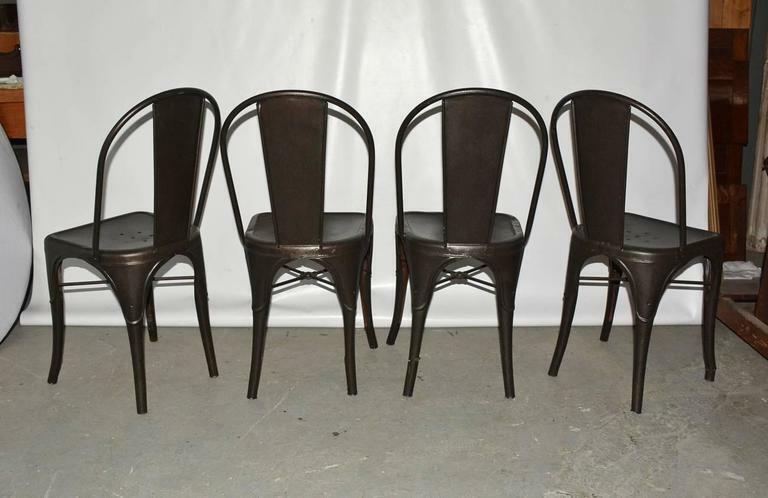 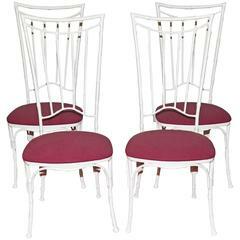 Set of four French bistrot chairs designed by Xavier Pauchard for Tolix. 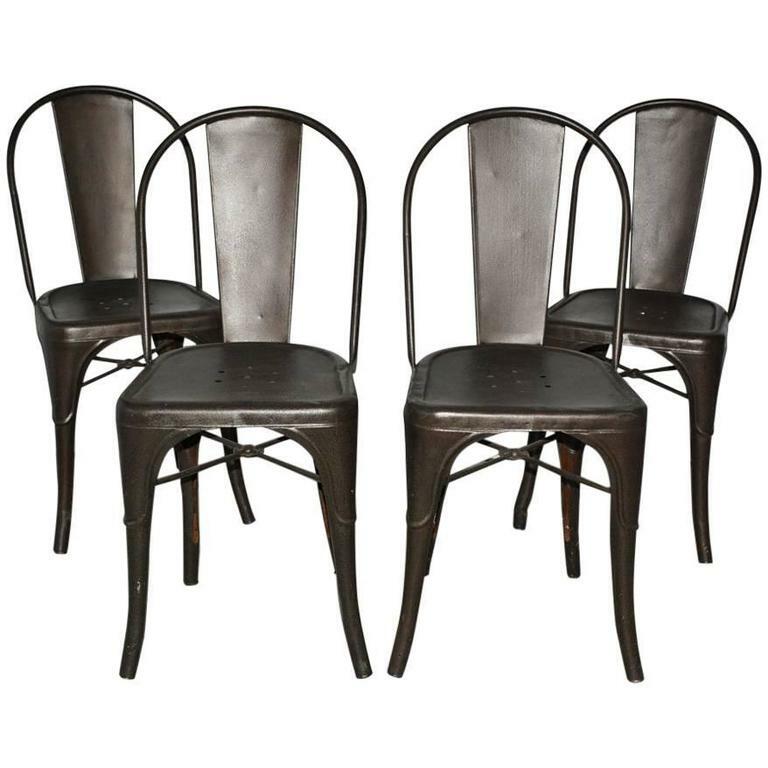 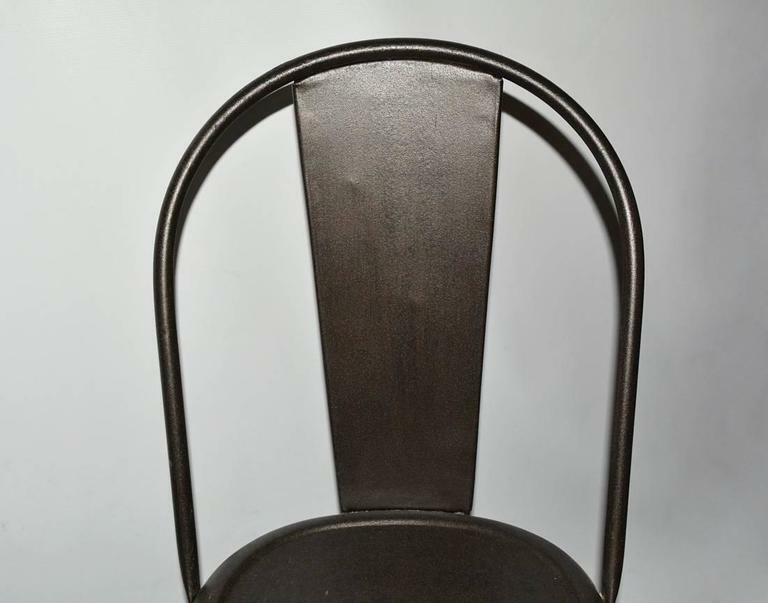 The four Industrial metal dining chairs are sturdy, have small holes in the seats for water drainage which makes it perfect for indoor or outdoor use. 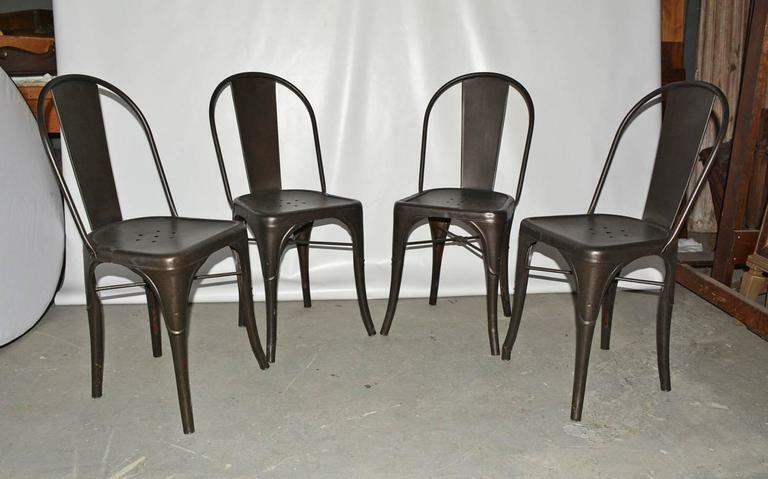 Search term: garden chairs, porch or patio chairs. 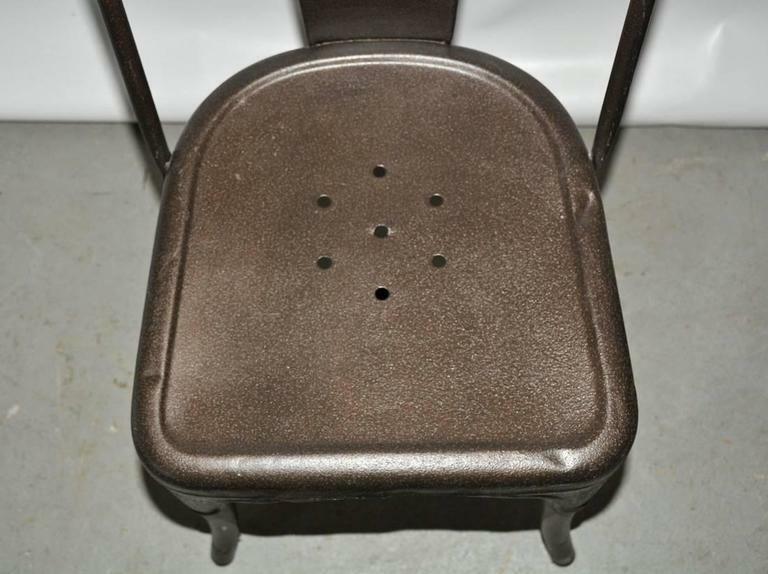 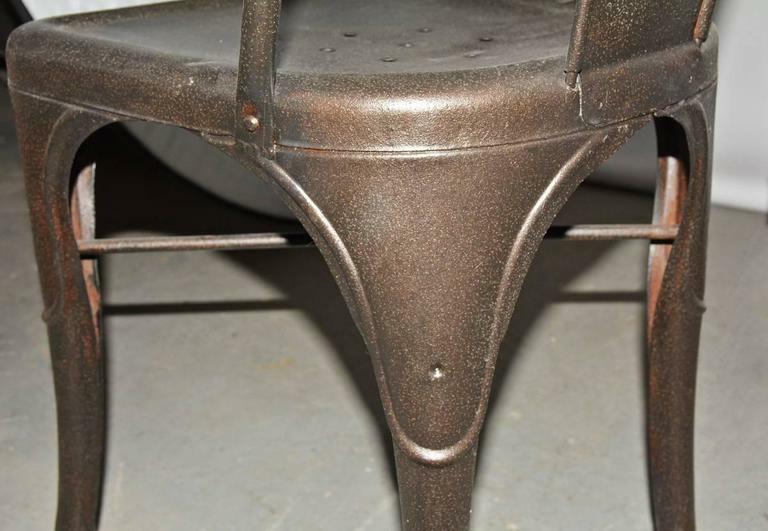 The edges of all the seats are dented. 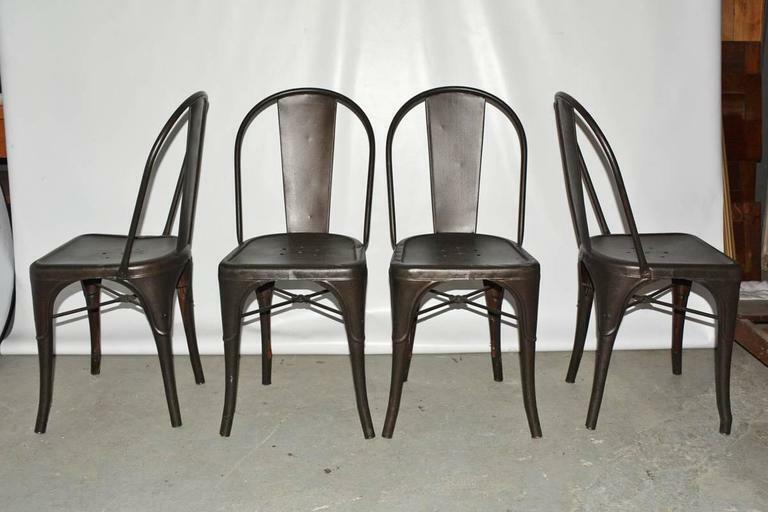 Set of four Mackintosh style iron chairs with tall backs, patinated in sage green and upholstered in burnt orange textured fabric, 1960s .